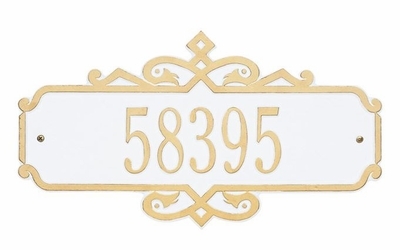 The uniquely designed personalized Whitehall Standard Size Coventry Wall Plaque - (1 Line) is available in multiple finish options with customized lettering. Plaque Dimensions: 16.25" x 8.75"
16.25 in. x 8.75 in.